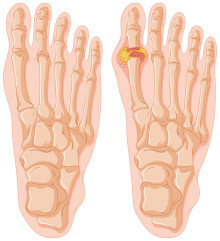 Gout, a form of arthritis, occurs when uric acid crystals are deposited in the joints. Uric acid forms when the body metabolizes substances called purines, which are found in a variety of foods. 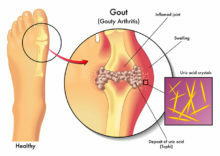 In further answering the question “What is gout?” we should describe the impact food can have. Purines. Everybody has them, and nearly everyone consumes them. Purines are natural substances found in your body’s tissues and in a wide array of foods. Moreover, they’re the precursors to uric acid, which forms when your body metabolizes purines.